Zesium company has proven itself as a trustworthy and reliable partner with more than 120 projects and dedicated teamwork. As we always create innovative solutions for our clients, we have been given the opportunity to implement our expertise within ApParkingSpot project. 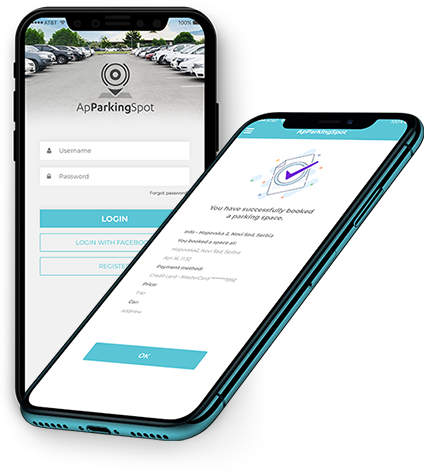 Zesium was appointed to create web and mobile applications for ApParkingSpot by ApParkingSpot Nordic AB, a company which represents a new concept for renting parking spaces among individuals, organizations and companies. Global Parking Management industry valued approximately USD 3 billion in 2016 is anticipated to grow with a healthy growth rate of more than 11% over the forecast period 2017-2025. The commercial segment includes parking garages, universities, and large retail, hotel and venue parking slots. This segment is predicted to witness a phenomenal growth in the market over the forecast period and is expected to grow at a growth rate of 10.4% over the forecast period. Technavio’s analysts forecast the global parking management market to grow at a CAGR of 14.44% during the period 2017-2021. The Global Smart Parking Market is poised to grow at a CAGR of around 4.9% over the next decade to reach approximately $1461.52 million by 2025. An increased production and usage of cars, especially in the developed and urban parts of the world is driving the parking management solutions growth. The modern technology provides new opportunities that haven’t existed before – ApParkingSpot was developed from an idea to bring together people who need a parking place with others who have a place that is not used. Parking space can be outside your house or apartment, a driveway parking or a workplace parking which is not used for days. ApParkingSpot is helping drivers to find, book and pay for parking in seconds – where and when needed. This way, people can save money, make money and save time trying to find a parking place while driving. The service is developed primarily for individuals who may have a parking space that is regularly available, e.g. when users are at work – it is possible to place their space in the system as available every Monday to Friday from 8 am – 5 pm. However, there may be parking lots within workplaces that are not used during weekends, holidays etc. 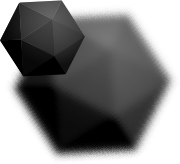 and through ApParkingSpot, these p-places can easily become available, plus the regular holders can earn a sum of otherwise untapped resource. The ApParkingSpot system consists of a backend, a web application and two mobile applications – Android and iOS for the users. Main functionalities of the application are registration, adding a parking space, searching parking database and booking a parking space – the payment of the same is integrated with Stripe. Due to the need for the precise location, ApParkingSpot application relies on Google services: maps and location, but also uses some of the best Android libraries: Retrofit, Glide, ButterKnife etc. Push notifications were added through FireBase Cloud Messaging system. For developing the iOS mobile application, we used Objective-C and Swift languages in order to build it. Most of the time we used Google API, Stripe etc. for the services such as getting location, maps, payments etc. The web application was built as responsive – adapts the payout to viewing environment by using a fluid grid, flexible images and media queries. A frontend was written in Laravel framework while a backend has been developed in PHP. We used Firebase and Google Analytics for tracking statistics. ASDS Autosence Detection System is being developed within the application – it automates the process of renting out parking spaces. ASDS sets up a schedule when the parking lot can be rented out through deep learning – all calculations are based on the occupancy rate and the system learns and rents all the time based on the current usage in the parking lot. Secondly, the users will have the option to reserve a parking space and through communication with the car, ASDS verifies that it is the exact car that has arrived. This allows seamless payment and identification of violations where a warning is sent directly to the monitoring company. Other usage includes street parking in public areas where the car can automatically know where are the available parking places nearby and guide the driver to the spot via phone. The ApParkingSpot was launched at the beginning of June 2018 for the Swedish market, hitting the Stockholm as the first destination – as people are eager to use it, it will prove itself as a valuable asset saving time and money for the users. Our pioneer work within ApparkingSpot will change the way parking operates in the city – we continue to be a company that innovates in many ways, helping our clients to advance their business and thrive on success.